An especially vote-heavy year lies ahead in Europe, with potentially heavy political casualties. Millions of people are heading to the polls and many are in an agitated mood. 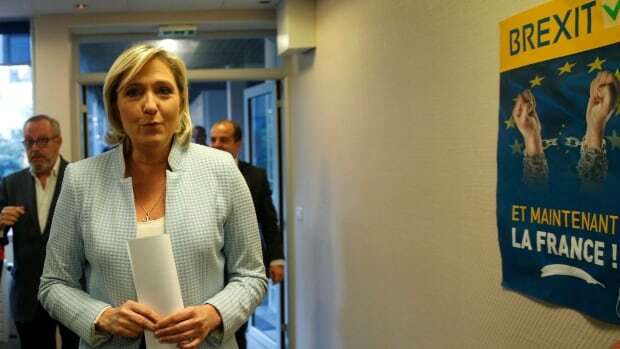 French far-right leader Marine Le Pen arrives in Nanterre on Nov. 9 to make a statement on the U.S. election. If you were surprised by the outcome of the U.S. presidential election, you might want to brace yourself for the cartwheels of change about to roll across Europe. Because of an unusual set of circumstances, ahead is an especially vote-heavy year with potentially heavy political casualties. Millions of people are heading to the polls, and many are in an agitated mood. The lineup of elections and referendums is a wide-open opportunity for mass venting about the many frustrations of the past years: the migration crisis, the economic crisis, the bailouts, and fallout, in a flailing European Union. Like Nov. 8 in the U.S. — and June 23 with Brexit — the succession of polls is also a chance to clobber the establishment. Naturally, Europe’s anti-establishment protest parties stand to reap the benefits of the discontent. 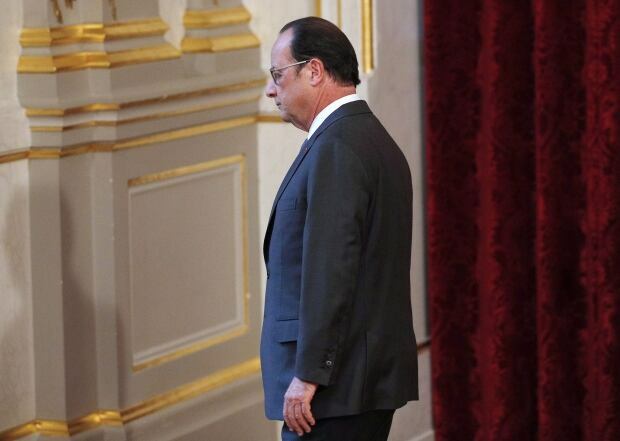 At risk are some of Europe’s top leaders, now suddenly among the political walking dead. French President Francois Hollande leaves after making a statement in Paris on Nov. 9 about the results of the U.S. election. By this time next year, the world’s most powerful gatherings could look very different. Donald Trump aside, rarely before has the prospect for change in the international arena been so sweeping. Even before Trump’s triumph, Europe’s political house looked set for an overhaul. The winds of change were already blowing in France, Germany, Austria, Italy and elsewhere. But Trump’s winning bluster is now putting gales in the sails of Europe’s populists and nationalists riding the anti-establishment mood. “The French reaction was: absolutely, this is a huge boost to [populist National Front leader] Marine Le Pen,” says Xenia Wickett, the head of the U.S. and Americas program at Chatham House, an international affairs think-tank. Once on the fringes of France’s political landscape, Le Pen could be one of two candidates in the final run-off for president — and in light of Trump’s victory, France’s elite are now openly musing about the possibility she could actually win next spring, unseating Francois Hollande. 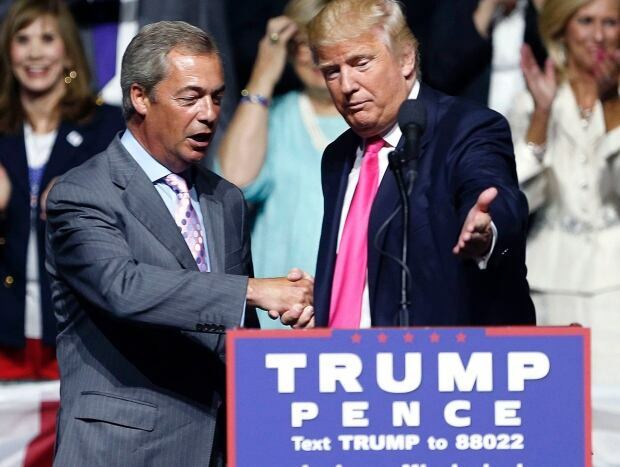 Donald Trump welcomes Nigel Farage, leader of the United Kingdom Independence Party, to speak at a campaign rally in Jackson, Miss., on Aug. 24. But the votes that will initially set the tone for Europe’s coming year are happening far sooner, and on a single day. On Dec. 4, Italy and Austria go to the polls. Neither would normally be on Europe’s agenda this late in the year — putting them squarely, and perhaps ominously, in the American election’s wake. Austria’s contest is a rerun of an earlier, close presidential vote, and it’s expected that Norbert Hofer of the Freedom Party will prevail. That would make him the first elected far-right leader in Western Europe since 1945. Italy’s vote is a referendum initially scheduled for the fall. On the table is a package of constitutional reforms that Prime Minister Matteo Renzi has proposed to streamline lawmaking. But because of growing anger over the migration crisis — Italy has become the top destination for asylum seekers — as well as over corruption and dangerously high unemployment, the vote is being seen as a plebiscite on Renzi’s performance. So far it looks like he might lose — and that might bring down his government. Waiting in the wings is the Five Star Movement, a protest party that wants curbs on migration and a referendum on dumping the euro. German Chancellor Angela Merkel leads the weekly cabinet meeting in Berlin on Nov. 2. Also at risk are several other leaders and governments, some of whom have been around for the better part of a decade. 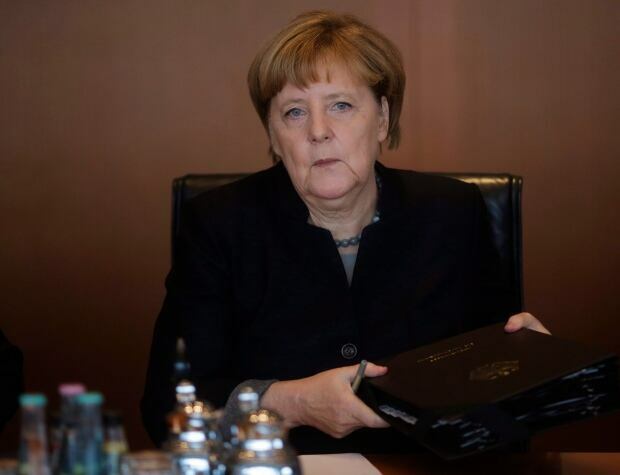 German Chancellor Angela Merkel’s popularity and her party have been hurt by the migration crisis and her decision to allow hundreds of thousands of mostly Syrians to enter the country last year. Her Christian Democratic Union saw support plummet in local elections this year. The beneficiary was again an anti-immigrant party on the rise. The right-wing Alternative for Germany is expected to do well in next year’s national election, too. In the Netherlands, Geert Wilders’ anti-Islam and anti-immigrant Freedom Party stands to build on the back of the disillusionment. He may not form the next government after the March vote, but his party’s influence is expected to grow. While many of these parties are inspired by Trump’s win, it was actually a protest party on this side of the Atlantic that formed the best and perhaps worst model for harnessing the growing malcontent in the West. The United Kingdom Independence Party, under Nigel Farage, had very little chance of forming a government. But it managed to help force a referendum and motivate the disillusioned to bring Britain to vote to leave the EU — and change the face of Europe. “I’m the catalyst for the downfall of the Blairites, the Clintonites, the Bushites, and all these dreadful people who work hand in glove with Goldman Sachs and everybody else, have made themselves rich, and ruined our countries,” he said last week. It is certainly language that is resonating across this continent and across the pond. Farage, Trump, and others are tapping into a rich vein of discontent that will yet produce many more surprising headlines. 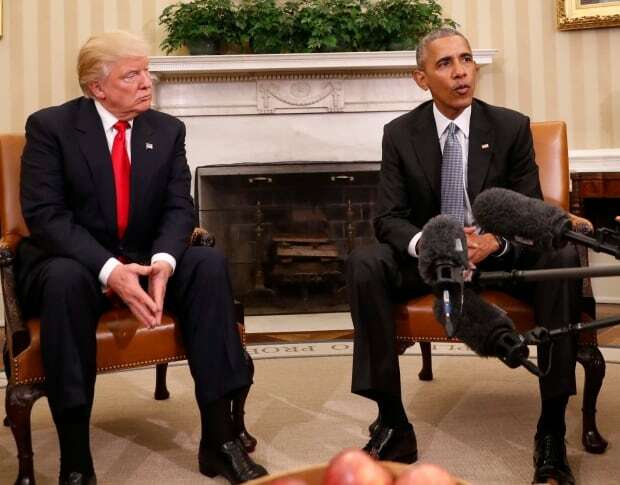 U.S. President Barack Obama meets president-elect Donald Trump in the Oval Office on Nov. 10.